They don't really make a "Sorry your dodgeball coach just got crushed by two tons of irony" Hallmark card. 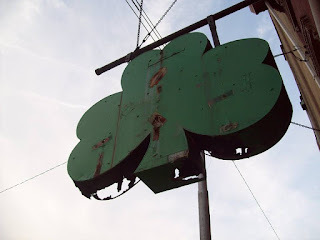 I have been walking by Lucky's for several years wondering what goes on under the giant green shamrock. Now I've come to expect the occasional $2 well drink special in this wonderful city I call home, but that extra 12% savings is quite the selling point! For an establishment located within city limits of a moderately large city, I would estimate that this deal is in the 95th percentile of all time happy hour specials available nationwide. While I loved Lucky's, I could not properly recommend dining there. This toaster oven pizza was quite a steal, but, after all, it was cooked in a toaster oven and sadder than a dying grandma on her birthday. Great news though! You can walk right down the street to one of Pittsburgh's best restaurants, Gaucho Parrilla. 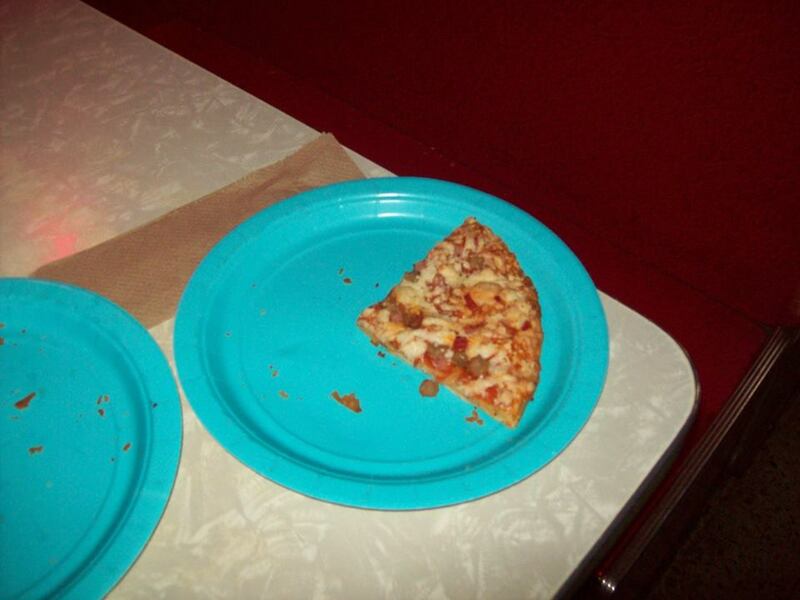 The saddest pizza of the lands. Every meal I have had at Gaucho has been world class. 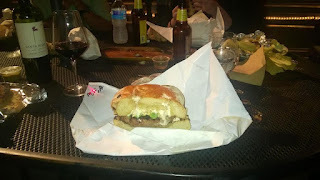 I was extremely excited for the burger due to the high rating from Pitts-Burgers, but I feel that in the future I will opt for my favorite Gaucho dish. The meat platter! You can never go wrong with a meat platter featuring steak cooked over oak wood and a plethora of fantastic homemade sauces. Always go with the steak, eat bread at home. The burger was just a bit too pedestrian for my tastes at a restaurant specializing in steak. 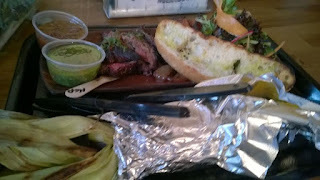 Don't skimp on the chimichurri and never forget that Gaucho is BYOB.